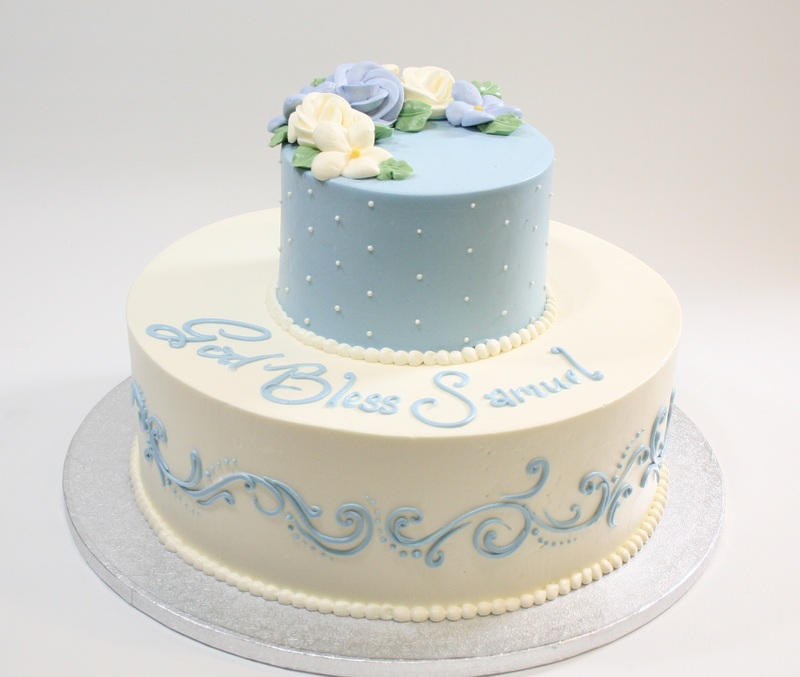 This design features customers choice pastel buttercream flowers, 1 color top tier with white swiss dot. 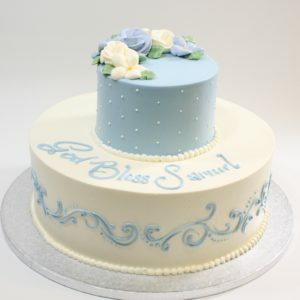 Bottom tier colors are inverse to top tier, frosted in vanilla buttercream with scrolling lace design work. Shown in Lt cw Blue buttercream frosting with white swiss dot pattern on the top tier, bottom tier white buttercream frosting & lt cw blue scrolling lace. This design is available in all sizes & flavors if ordered by Wednesday for the weekend. Limited sizes & flavors with 48 hours notice.